After a slew of European tour dates and right before the North American leg of her tour, we caught up with Julianna Barwick. Famed for her magnificent voice and looping patterns, Barwick just released Will, her first album in three years since the groundbreaking Nepenthe. As she geared up to play her new, darker, edgier album for the first time stateside, Barwick spoke about her attachment to Portugal, her history in church singing and her love of pop music. Before we talk about your new album, I wanted to ask you about Portugal. I know a lot of Will was written there and it’s been a very important place for you. How did it become such an important place in your life and how did it affect the writing of your newest album. Julianna Barwick: There is a lot to be said there. You know, Panda Bear had done a Pitchfork feature or something where he’d done this interview and performance on the program. It just was really rare as a huge Panda Bear fan to hear him talk. I just decided to befriend the person who had conducted the interview and that ended up being Sergio Hydalgo. He does a lot of shows in Lisbon and said “you should come here, I can get you some shows together. I had just played a handful of shows in New York, so by the time he asked me to do that, I went over there and it was just totally new to me. It was just a whole new world. [Sergio] helped me out and I met some other people there and fell totally in love with Lisbon and all the people I met. I had the most amazing first experience. I’ve been back so many times since then, it just means so much to me. What’s your favorite thing to eat or drink in Portugal? JB: I went to a restaurant with Sergio back in September that was this really amazing seafood place. It actually ended up being really trendy because it was featured on Anthony Bourdain. But it was just like one crazy pile of delicious seafood after the next. And I love those little pasteis cups that are everywhere. I love their vino verde, they have really great cheese, it’s all good. Will is your first album since Nepenthe, which was almost 4 years ago, and I think there have been some changes. The production is a little different as you’re handling it on Will, and your voice still has a lot of layers, but it is different. As someone whose voice is so crucial to their music, when do you find yourself happiest with how it sounds? JB: Well for me, the more reverb the better. I have a lot of pedals and you know it doesn’t really have anything to do with being in a cave or anything like that. I have two pedals that are my favorites to play with that do it for me. That’s how I perform too and that’s how I record. I’ve never actually experimented with capturing room reverb, which could be interesting. But yeah I’ve had the same looper and the same vocal effects pedal for two years now. Your upcoming concert in D.C. is at the 6th & I Synagogue, a pretty unique venue. How do you feel about a synagogue as a venue for your music. Have elements like the church and the church choir ever impacted your music? JB: Well I grew up singing in a church in a congregation. We would all sing together, and it would reverberate because we’re singing in an auditorium. I sang in choirs all through school, you know. I just grew up singing in this choral, mostly a capella way my whole life. So there’s no way that didn’t leak into my psyche and inform the decisions I made. I always loved it, I loved singing like that and I still do. Then I found the whole looping thing and it just, everything clicked. I could work really quickly, it was all improv, I was layering with my voice, it was all right there. When you talk about singing with a congregation instead of the choir, that’s like a group of people not practicing together regularly, they aren’t making compositions together, they’ve just gathered and are singing in that place. JB: Right and it’s not like being in a choir for a reason where you might be trained, this is just everybody together, singing if they can sing well or can’t It’s more just about a community kind of thing, singing from hymn books. A lot of your music is considered ambient music, which has an association with memory, nostalgia and recalling personal moments throughout the past for both the listener and the musician. When you’re composing do you find yourself relying more on memories or does inspiration come from the contemporary? JB: It’s kind of mixed, I mean since it’s all rooted in improv — it’s improv to tape basically — it’s very visceral and very in the moment. But, you know, anything you’re going through is attached to memories also. I think it’s pretty mixed for sure. How did you pick up improvisation? Was it just a natural progression for you from church congregations and singing on your own? Or was it something that struck you later on as something you wanted to do? JB: It really struck me when I started looping stuff in 2005. My friend leant me a little delay pedal that looped. And until then any music I was making was pretty much improv. I used to play a bunch of guitar and sing with a bunch of reverb, doing stuff that was kind of singer-songwriter-y, more composing, I was kinda stuck in this strange zone. Then I started looping and it was super fun and unexpected and it just really clicked, all of it. Do you think there’s a major difference between the consideration of “singer-songwriter” and of a “producer”? Would you consider yourself more of either? JB: I mean I’m doing it all myself. I’m writing and recording and everything until it’s mastered. I taught myself how to use all of these machines and tough programs. I actually didn’t know until probably when Nepenthe came out what mixing meant. For me it was just making songs, I didn’t know all these differences between recording, producing and the like. I read that you’re a huge fan of movie soundtracks and you’ve even worked with some filmmakers before. What’s your relationship with film and can you see yourself doing some scoring work in the future? JB: I hope that that happens, I really really want to do that some day. Ever since I was a kid I’ve just been crazy about soundtracks. As like a first grader or something I’d listen to the Yentl soundtrack all the time, and not long after that we saw Empire of the Sun and that changed my life in so many ways. I’ve listened to that soundtrack ever since then. I’ve been completely obsessed with it. And then there was Star Wars stuff and John Williams stuff and Flight of the Navigator. I taught myself how to play these on the piano. I’ve just always been drawn to it. Are there any filmmakers you’d like to work with specifically? JB: I would jump at the chance to work with Sofia Coppola or Michel Gondry. Michel Gondry is one of my favorites. JB: I think I saw him on the street a few days ago and I was like “ooh!” I mean Eternal Sunshine, I’m pretty sure that’s my favorite movie of all time. That and Empire of the Sun, Lost in Translation, these are big ones for me. That’s awesome. Not to jump to a totally different topic, but when I first listened to Will I was struck by elements that sounded to me, dare I say, inspired by dance music. Has that genre had an impact on you? JB: I love it! I mean Mas Ysa is super dancey and I’m obsessed with it. I love the new Justin Bieber record. I love pop music, I love dance music, I love going dancing. That might be a surprise to people that have heard my music, but I lo-o-ove it. And the way people make dance music is totally amazing to me. I tried to incorporate some of that into this record. I mean I toured so long for Nepenthe and there was no real rhythm or movement or low end and I wanted to try that out a little bit with this record. I think that’s one of my favorite things about this record, that low end. It’s like a sharp tooth. That actually goes into my next question. Ambient music often has this association with introversion, but you’ve talked about singing everywhere about travelling about dancing and loving pop music. Do you think, because of your musical style, some unfair labels get attached to you as an artist? JB: I think that, you know, the kind of music I’ve made, it might be assumed that I’m kinda serious or really isolated or lonely or something, and I have a little bit of everything happening. There are definitely parts of me that are… for me the real joy and the best part of being a musician and doing this all the time is the community with people. I love that. I love connecting. I also love, like, the control actually. Making it my way and making my space before it’s put out to the masses. How do you think that being a woman in the scene has affected your experience? Your music is often compared to that of Grouper, Joanna Newsom, Björk, and the like. Do you think you all are too often grouped together because you’re all women? JB: I don’t really think about this very much. I think my music is kind of outlier-ish in a way. Everyone gets compared to the closest thing people can come up with. I don’t really think about the female part of it too much, or ever (laughs). It is cool to be a part of a group of people, women, that are so uniquely them, you know? I mean Grouper, Joanna, Björk, there’s no one like any of those people. So I’ll take it, if that’s what it is. A sort of unclassifiable, genre-less artist group? I’m into it. To tie that back to Will, it has some moments of clear lyrics. It’s not all just voice-as-instrument. How have your personal experience and identity over the past 4 years impacted the lyrics you included? Maybe it’ll be a pop album? JB: Yeah. (laughs) Or rap. Maybe it’ll be rap. 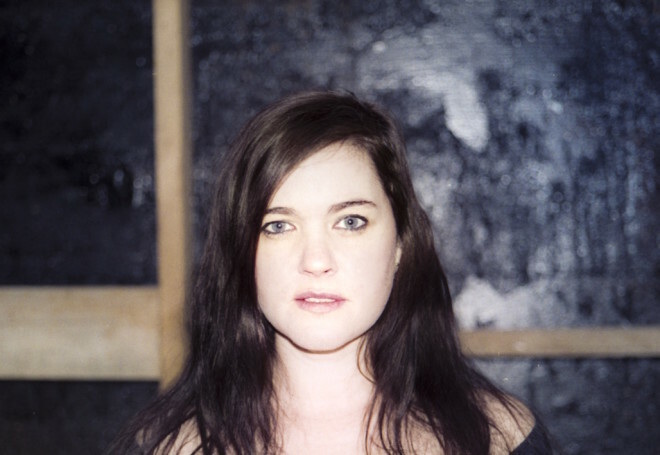 Julianna Barwick is performing with Mas Ysa at D.C.’s 6th & I Synagogue tonight, June 15th, at 8pm. For more information, check out the event here.